Terrelle Pryor’s 2008 Big Ten Championship Ring sold on Ebay, has weed leaf on it. 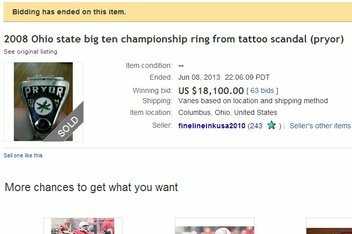 Terrelle Pryor’s 2008 Big Ten championship ring that he sold for tattoos a few years ago sold again on Ebay for $18,000. First thing I noticed was the weed leaf on the side. After winning the Big 10 Championship, Terrelle Pryor decides to design his ring not with a football, the OSU logo, or anything football related. He went with a weed leaf. Really showed he had his Pryorities straight! I can’t believe some moron actually paid 18,000 for this ring. When Pryor burns out in the NFL in 2 years, this will be a horrible purchase. He could have probably bought some scrub’s ring without a weed leaf on it for half the price. Gotta love Oaklands QB situation right now. Heres a quote from Pryor in his final season at OSU before playing Penn State. 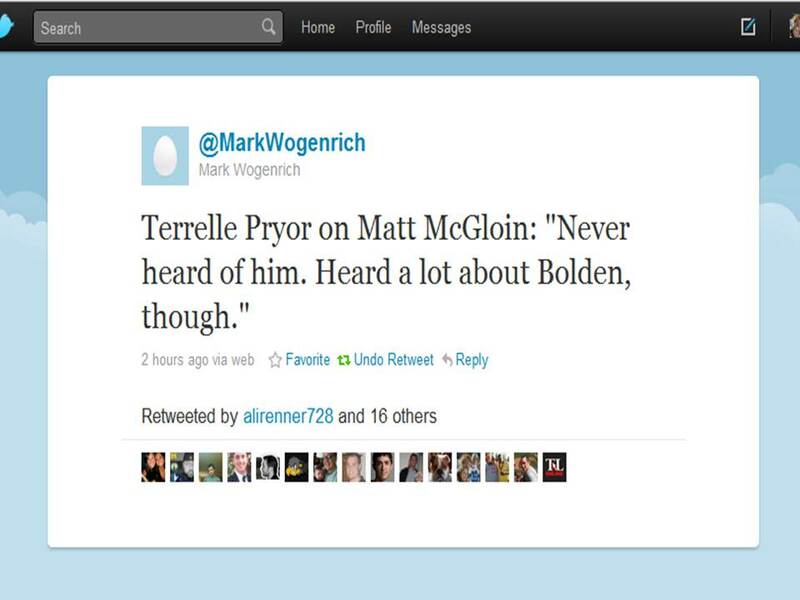 This entry was tagged Big Ten, Matt McGloin, Ohio State, Raiders, Terrelle Pryor, Terrelle Pryor Big Ten Ring, Terrelle Pryor Ring. Bookmark the permalink.